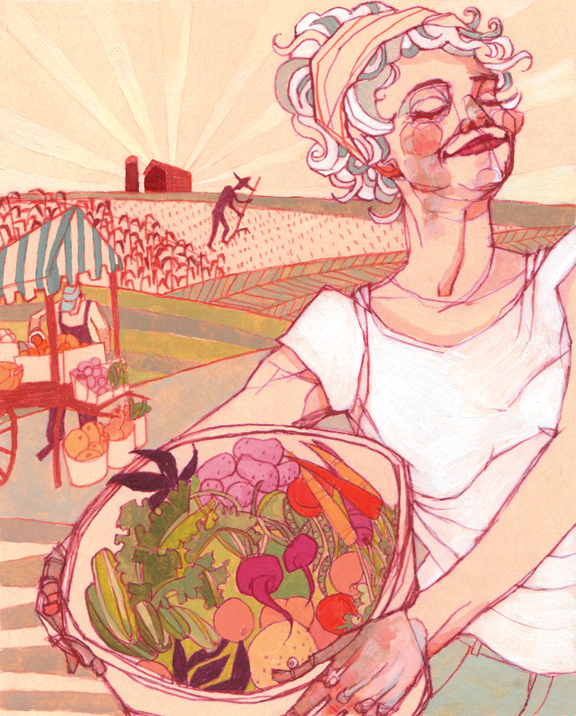 An illustration I just finished for Delaware Today magazine about the perks of country life. I especially enjoyed drawing all of those veggies since I'm tending my own tiny vegetable and spice garden now - peppers, lettuce, carrots, basil, rosemary, spearmint, thyme, oregano, and a few struggling tomato plants. I was really surprised by how much I'm enjoying gardening. Almost every day, I find myself in our back yard weeding or watering or tending to the plants. There's just something very relaxing about the organization of it all as well as watching things grow. We're going to start looking for an apartment in Baltimore soon and I hope we can find one with an outside space...or at least some lots of large windows with a southern exposure.